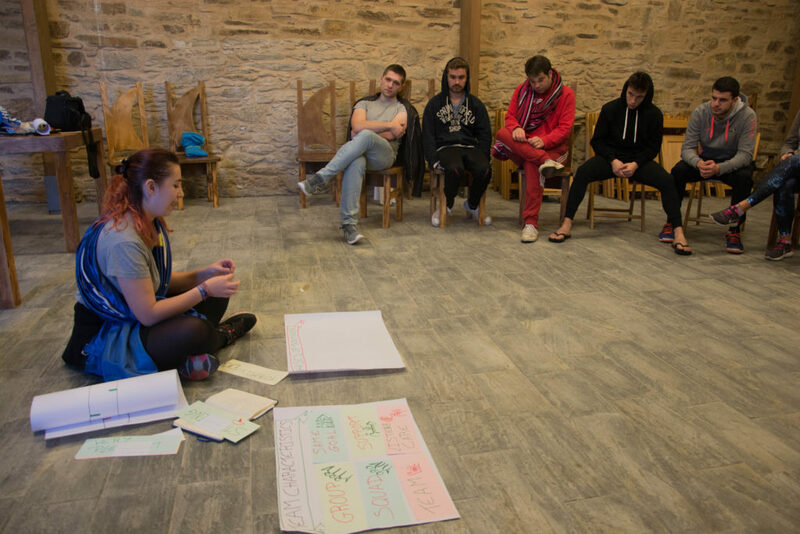 Alejandra Piot from AEGEE-A Coruña knows her strengths lie in the areas of network, communication and training, thanks to her experiences in AEGEE and in her academic life. The former NetCom Speaker and Editor-in-Chief of the Key to Europe is willing to give locals efficiency and transparency. Check her interview! Lisa Gregis: Why do you think your contribution in the CD is necessary for AEGEE’s next year? Alejandra Piot: It’s because I have enough experience and background to contribute to it. For the position that I’m applying, I have a big background to cover the position of Communications Director, because of my studies. I can give another point of view to this field and improve the strategy that was being developed until now. Regarding Network Director, my term as NetCom was hard but rewarding. I learned a lot as well as Speaker and Vice Speaker and, with all the knowledge that I got, I am ready to use it to improve and continue the work that has been done until now. What do you believe is your true role in AEGEE? During these years, as you could see in my candidature, I was exploring different roles within the organization, and I’ve enjoyed – and am still doing it – each of them. I don’t think I have one true role in AEGEE, but of course I know my strong and weak points. Right now, I think I can give a lot to AEGEE regarding communications, that’s why I really would like to take this portfolio if I get elected for CD. At the same time, while being Network Commissioner, I couldn’t be happier helping my assigned locals and gave them everything I could. And, to conclude, I do really enjoy the training world, that’s why I joined the Academy and I’m taking every opportunity that I have to deliver a training and improve myself. So, I don’t think I have just one true role, but I can highlight these three points as my stronger skills and fields where I can contribute the most. Can you give us some concrete examples of what you have learnt from all your previous roles in AEGEE? I learnt a lot about teamwork, public speaking and self-confidence. I started as President of AEGEE-A Coruña while I had just one year of active experience, so I was quite a newbie. Plus, I didn’t have so much support from experienced people, that made things even more complicated. 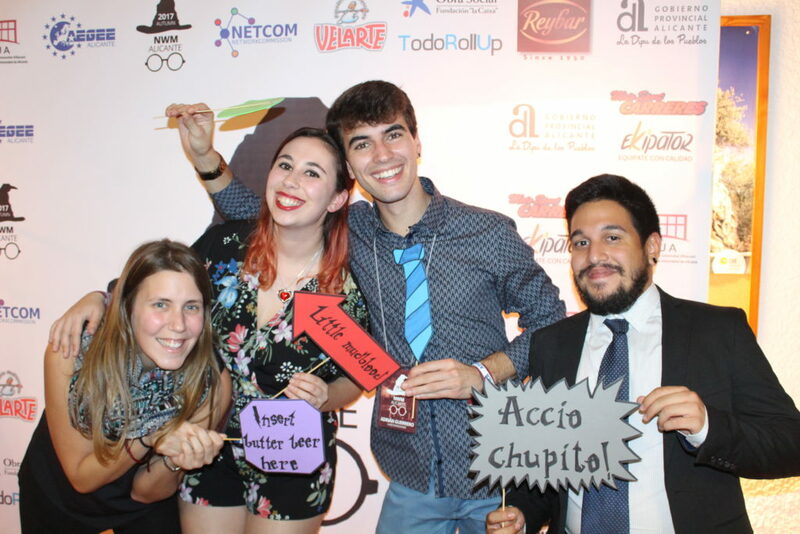 One month before my term finished, I remember something that someone told me which really touched me: “You did a really great job, I can see a huge difference between AEGEE-A Coruña before you and now, this is mostly thanks to you”. This gives you a lot of self-confidence and makes you feel that you are ready to do whatever you want. Apart from this, I’ve improved the skills that I already had, as active listening, time management and leadership. Which will be your core values as potential Network Director of AEGEE-Europe? I will have efficiency and transparency as core values. That means that I will answer to all the messages, problems, questions or doubts from the locals as fast as possible in the most efficient way and I will be as transparent as I can towards them all the time. Which type of partners should AEGEE seek for cooperation? I would continue searching for educational partners, as it was been done this year. As our association is mainly for students, this can help us to get good opportunities for our members. Apart for this, I would say that any partner that follows our vision and values as well is super welcome, as we can take advantage from plenty of kinds of partners. An example is the one with Booking.com that has been signed recently, or with EduOpinions. Both of them are different but, at the same time, are fulfilling our needs as association. In your program we can read that you would like to analyze the antenna criteria to understand the reason behind them and establish if they should be criteria or recommendations. Why didn’t you do it when you were in the NetCom, when you proposed an antenna criteria reform? In that moment we were thinking about the antenna criteria in another way. We thought that we just need a rearrangement and it would become better. Afterwards, I could see that it wasn’t too much change at the end, and it’s not much better. My thoughts now are, do we really need all of them? Or, shouldn’t all of this be a recommendation rather than compulsory? So, now, after everything that I’ve learnt and observe as NetCom I have a bigger and better vision about the Network and AEGEE and my thoughts were also changing, That’s why I’m proposing this now and not while I was NetCom. If you don’t get elected whom of the candidates do you want for your position to be elected and why? I would want Evrim, as she is in her term as NetCom, and currently Vice-speaker, therefore she has a good insight in the Network and experience working with the locals. Focusing on the weakest areas of the Network is for sure a priority and in your candidature you stated your commitment on this. Do you think that the NetCommies of those weak areas didn’t already do what you are proposing to do in the CD? What would you do more than them? Yes, I’m aware that the NetCommies of these weak areas have already been trying it. And, apart from supporting them, I want to link the Communications Director portfolio with the Network Development one. Improving the online visibility of AEGEE and transferring this to these parts of the Network, so it will become easier to be known and people will get interested in joining a local or founding one. That’s why I see it as super important to have these two portfolios working together, because we can do bigger things with both of them. In which ways your work in the CD next year will impact the world outside this organization? This I cannot say for sure as this will be seen afterwards, but my goal and what I would like to happen is to give AEGEE a bigger visibility outside, so that people get to know us in Europe and recognize our work. All of this will be possible with a good communications strategy and an enlargement of our Network. Although we have to recognize that any of this is not easy to fulfill in just one year, it is worth it to start it and keep working on it in order to achieve this in at the end. Right now I see that there is a lot to do to improve our organization. I have the feeling that sometimes we are focussing a lot on internal things rather than external ones. 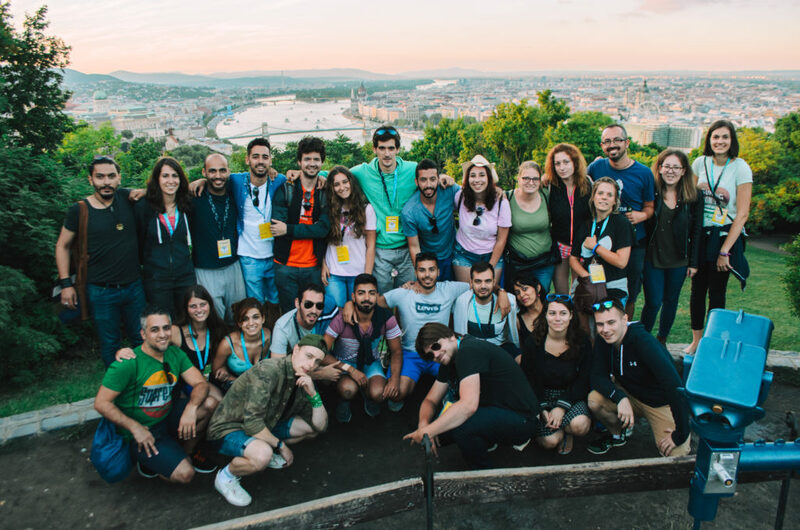 I remember when I first joined AEGEE that everyone was telling me that thanks to us the Erasmus program was working now, but since that moment, it is still the most remarkable thing that we can share. I’m not saying it isn’t important but, shouldn’t we be talking about more big achievements if we really want to create an impact? This year I could see a difference with the thematic conferences that happen, and this is what I expect from AEGEE, that through these events we can really do something remarkable that we can feel proud to share. I think that there are still these things to improve, but if we continue working in the right direction, we can really make it possible. As I said in the motivation of my candidature, teamwork is something essential for me personally and, therefore, I would like to have this within the team if I get elected. If we work properly as a team, we get to know our strong and weak points, our ways of work and our commitment within the team and AEGEE, so we can avoid these kind of situations. If anyone in the team sees that something is not working properly with someone, this person should be approached and asked what’s going on and try to solve these issues in the best way possible. Sometimes these situations are impossible to avoid, because it depends as well on each person, their way of work and their behaviour. And, in my opinion, this should be taken into account while voting in the Agora if it’s known beforehand. What do you think about the antenna criteria proposal by the CD as a candidate? As I wrote in my program, I would like to do an analysis of the criteria, and it’s exactly what the CD is doing. I really support this proposal and I joined later as proposer as well. I think that if we work with it properly, and, if we avoid to have so much compulsory stuff, the locals will be more free to choose for example which events they want to attend, which activities are more beneficial to their local. Not all the locals are the same, and this is something that we have to keep in mind. So, each Network Commissioner, who is the person that knows the locals better, can decide which kind of recommendations to give to each local. Probably it will take some time to adapt to it, but this can work properly if we implement it in the best way possible. This doesn’t mean that no one will attend the Agora as delegate or that NWMs will be empty or that no local will organize an LTC. This just means that this is not compulsory but locals should reflect whether it is going to be beneficial for them. “Do we need it? Or how should we do it to make it useful for us?” Based on that they should decide what they really need. Meet every Comité Directeur of AEGEE-Europe!